Prominent & Leading Manufacturer from Ahmedabad, we offer 3lpp coated seamless pipes, 3lpe coated seamless pipes, fbe coated pipes and epoxy coated pipes. Diameter (Millimetre) 1/2" to 20"
Diameter (Millimeter) 1/2" to 20"
We are an eminent name in the market for offering the world class 3LPP Coated Seamless Pipes. 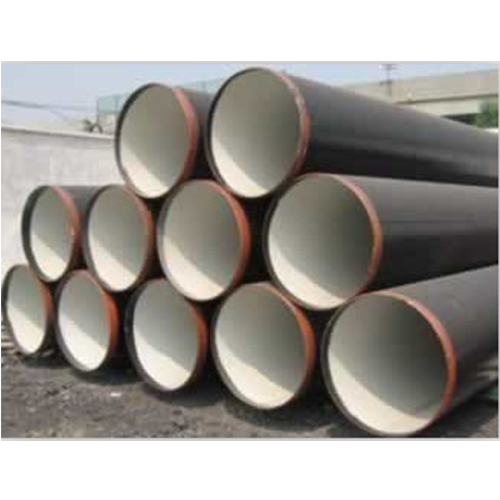 The offered pipes are given in various specifications in order to meet requirements of the patrons. We use premium quality stainless steel for manufacturing these pipes in adherence with the set international standards. Offered pipes are available from us at reasonable rates. 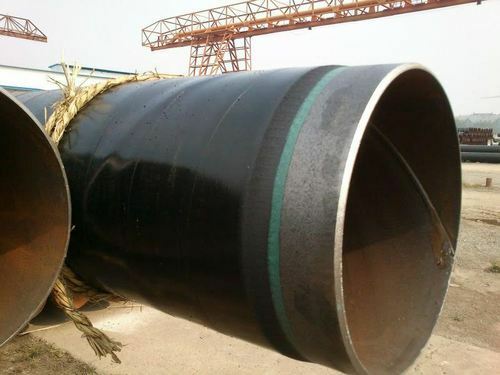 3LPE Coated Pipes consist of 3 layers for pipeline coating. Layer 1 consists of Fusion Bonded Epoxy. This later provides protection against corrosion and is fusion bonded with the blasted steel surface. Layer 2 is a copolymer adhesive which has excellent chemical bonding to the inner layer and the top layer of polyethylene. Layer 3 is the layer of polyethylene used for protection against any physical damage of the pipes. The 3 layer polyethylene coated pipes are the preferred choice for transmission of oil and gas around the world. It can withstand varied temperatures and environments ranging from dessert dry lands to deep underwater regions. 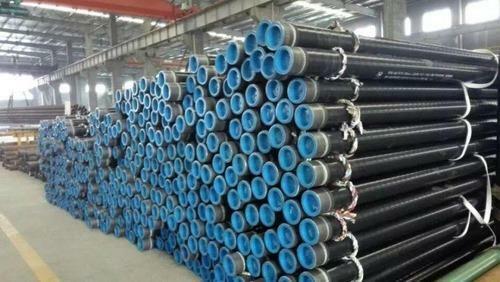 3LPE coated steel pipes are used for transportation of drinking water, oil and gas and other fluids. The 3LPE coated pipes can be used in the high temperatures as high as 60o C to 80 oC. Excellent chemical and corrosion resistance preventing steel pipes from any damage. 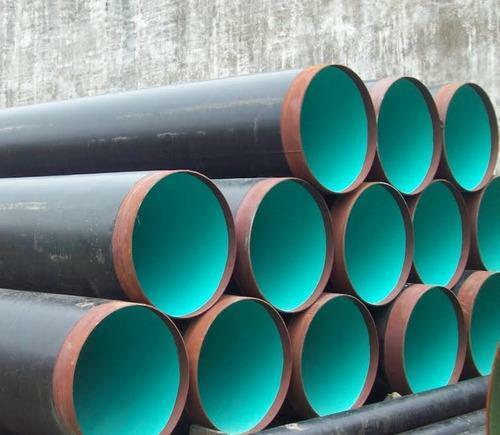 The 3LPE coated pipes have high-performance characteristics and an extended life cycle . We are specialized in providing an extensive range of quality 3LPE Coated Seamless Pipes manufactured with high-quality materials with assurance of high reliability and long lasting features which have extensive demand in the market. They are used in large number for wiring purposes. We provide customization of products as per customer satisfaction and demand. Maharashtra seamless limited is a pioneer in manufacturing corrosion protective 3LPE Coated pipes in India. We provide externally coated carbon steel pipes with 3LPE coating for applications in buried or submerged environments. Maharashtra seamless also produces other anti-corrosion pipeline coatings such as 3LPP, FBE and internal epoxy coatings. Being one of the most eminent names in the industry, we have been able to serve our esteemed customers with a varied array of FBE Coated Pipes. FBE is a high-performance anti-corrosion coating that provides excellent protection for small and large diameter pipelines with moderate operating temperatures. FBE coating increases the lifespan of steel pipes providing a constant performance throughout its lifespan. The FBE coating has high bond strength and bond firmly to mild steel pipe surface. Epoxy Coated Pipes are used for preventing steel pipes from corrosion and harmful chemicals. These are thin coatings of epoxy resin powder materials formed in a film and applied on pipes by specialized coating facilities by electrostatic spraying. These FBE coated pipes can be used in temperatures up to 85oC in dry conditions.